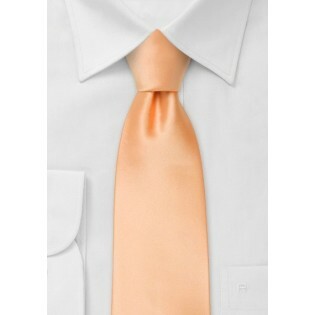 The apricot peach color tie is modern, fresh and contemporary. This tie is recommended for spring and summer ensembles. 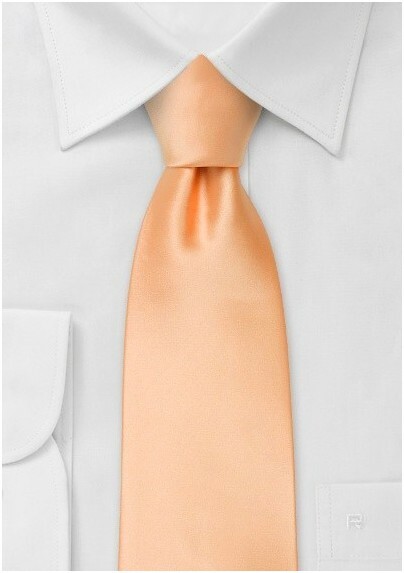 While this tie is suitable in professional settings, it is one of our most popular wedding ties. Mix and match this soft hue and have fun. We suggest pairing this tie with a light gingham shirt, cotton grey suit and tan oxfords. It also pairs beautifully with flax linen suits.